Android users, you will be happy to hear that a recently updated remote desktop app ISL Light 3.0.1 for Android awaits you on Google Play. You are welcome to get the update, which resolves a few frequently reported bug fixes, for free. What ISL Light provides is a cross-platform new generation remote support solution, aimed particularly at the business sector. The software lets tech reps efficiently assist attended and unattended remote computers with IT issues through quick access, speedy screen sharing, chat, multi-monitor support, quickly accessible remote system information, a well-organised computer list and more. Available on all major operating systems, Windows, Mac, Linux, Android and iOS, ISL Light will get you ahead in live technical support and make remote troubleshooting painless. •	Enhanced support for latest Samsung devices. •	Fixed screen orientation issue on Samsung devices. •	Improved mouse functionality on Samsung devices. 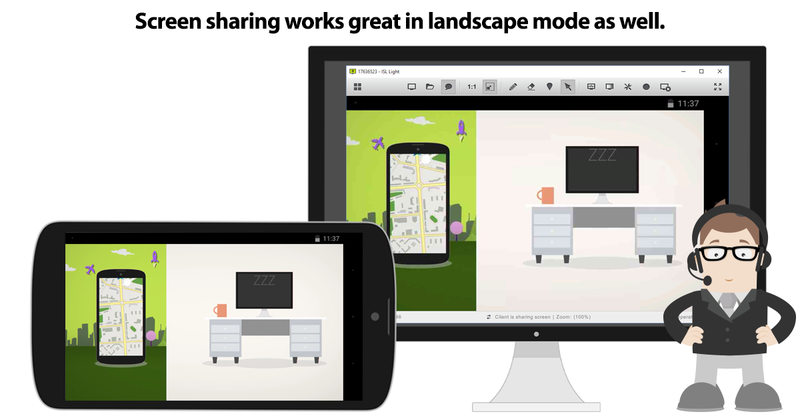 •	Enabled screen sharing between Android and iOS devices. •	Added support for Android’s multi-user environment. •	Improved support for add-ons. •	Works on Android 4.0.3 and newer. Please find a detailed description about the release in the Release Notes. 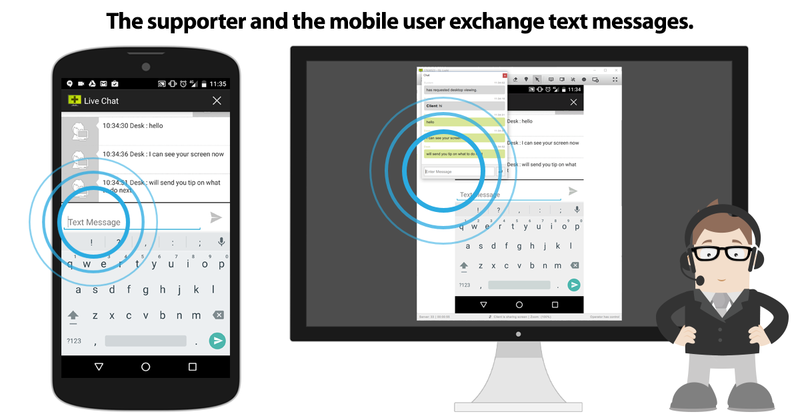 If you’re new to the ISL Light Android app, here are a few tips to get you started. Once connected, screen sharing on Android starts automatically. Getting there, however, requires a few simple steps. To access a remote Android over the Internet, the supporter simply starts the ISL Light application, logs in and clicks on ‘Start New Session’. Meanwhile, the Android user opens the ISL Light app on the mobile device, taps to open more choices in the right up corner and selects ‘Join Session’. 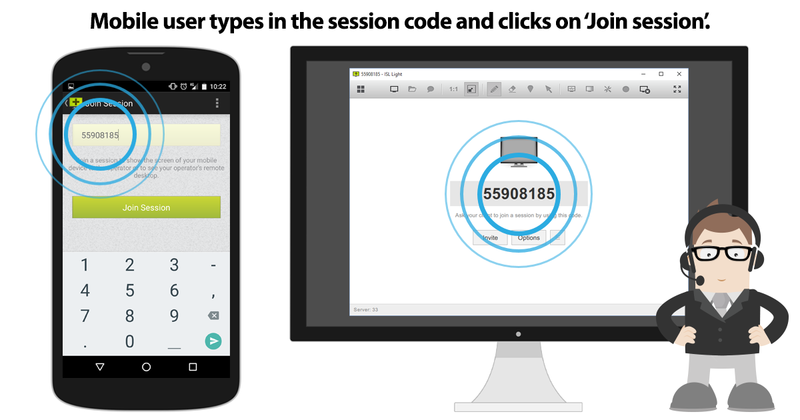 When the supporter is given a unique session code, he passes it to the mobile user, which he types in and taps on ‘Join Session’ to connect. They can easily put down the phone when connected, as ISL Light also enables two-way communication with user-friendly text chatting. Pop-up notifications will keep informing the mobile user of the coming chat content even when they browse away from the ISL Light app. Assisting Samsung mobile devices (available on Android 4.2.2 and newer), the operator can control the mobile device from their own device and fix the problems efficiently by himself / herself (See video on How to control a remote Samsung phone). However, assisting non-Samsung Android mobile devices (available on Android 5.x and newer), operators can use real-time screen sharing accompanied with visual pointers. 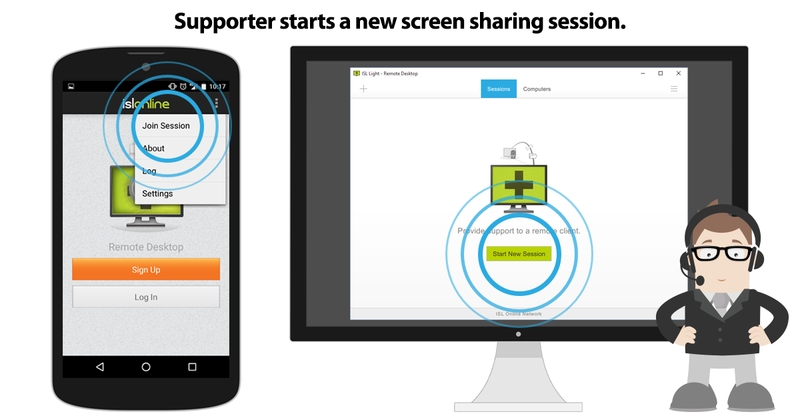 Screen sharing starts automatically when connected, enabling the supporter to see on the remote Android screen. 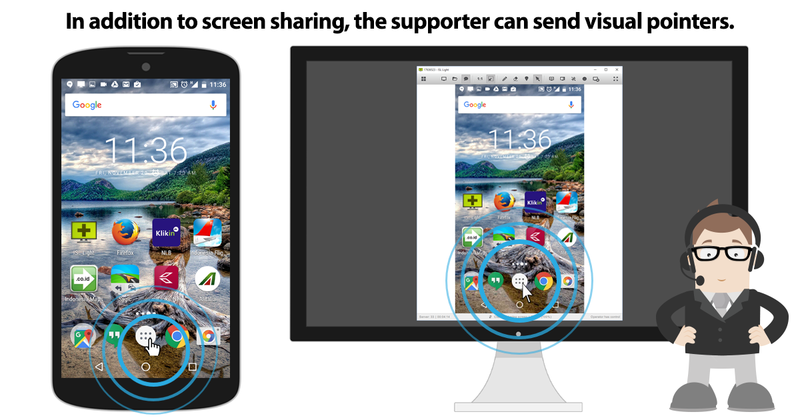 Nevertheless, the first-time mobile user needs to confirm ISL Light’s screen capturing in order to stream the screen to the supporter, but once confirmed, the pop-up will never appear again. Sending the mobile user visual clues about what to tap on or where to look even further facilitates remote support of the mobile device. To add a visual pointer, the supporter clicks on a shared screen, making a hand cursor to show up for about two seconds in the same spot on the remote Android. Some applications look and work better in landscape mode and some in portrait. ISL Light enables both, so encourage the Android user to switch freely between them. To end the remote access session, either the supporter or the mobile user can simply click on the obvious ‘X’ button and stop all remote sharing processes. Although the ISL Light app will remain installed on the mobile device (How to uninstall), the supporter will not be able to access it again without having to repeat the first two steps together with the mobile user – start the application and confirm the session code. 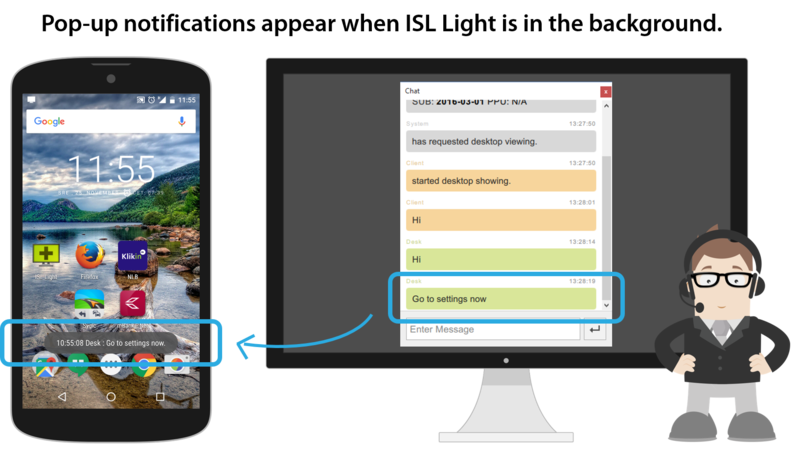 You and your mobile clients are welcome to get the latest remote desktop app ISL Light for Android 3.0.1 from Google Play. This entry was posted in Android, Mobile and tagged android, assisting samsung mobile devices, remote access, remote computers, remote control, remote desktop app, remote support, remote troubleshooting, samsung, screen sharing, technical support. Bookmark the permalink. 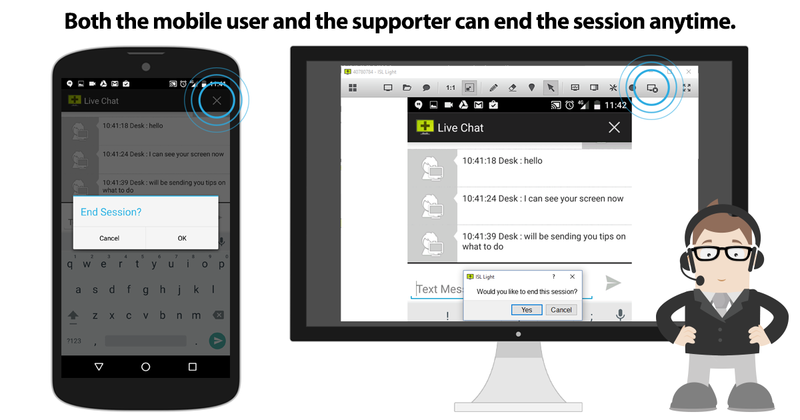 To access a remote Android over the Internet, the supporter simply starts the ISL Light application, logs in and clicks on ‘Start New Session’.